Tens of Dipodium sp. 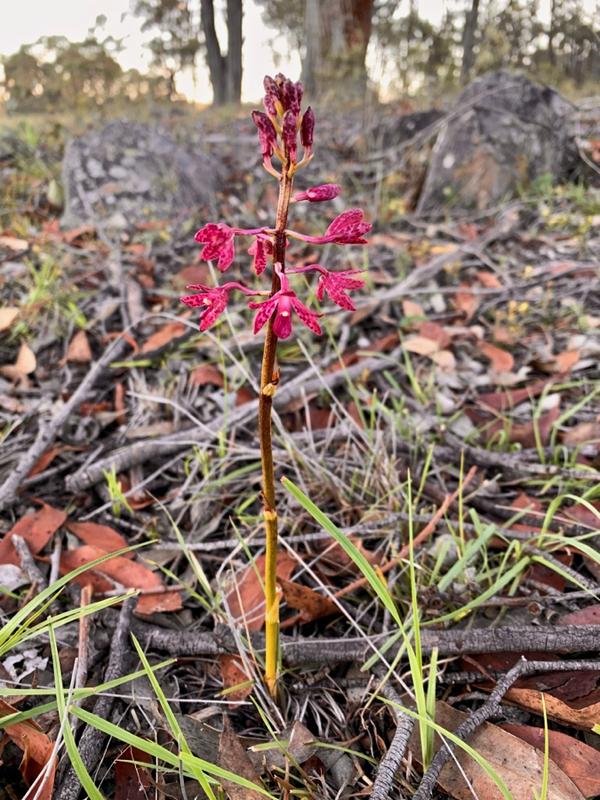 orchids are, or have been, in flower around the property in the past few weeks. 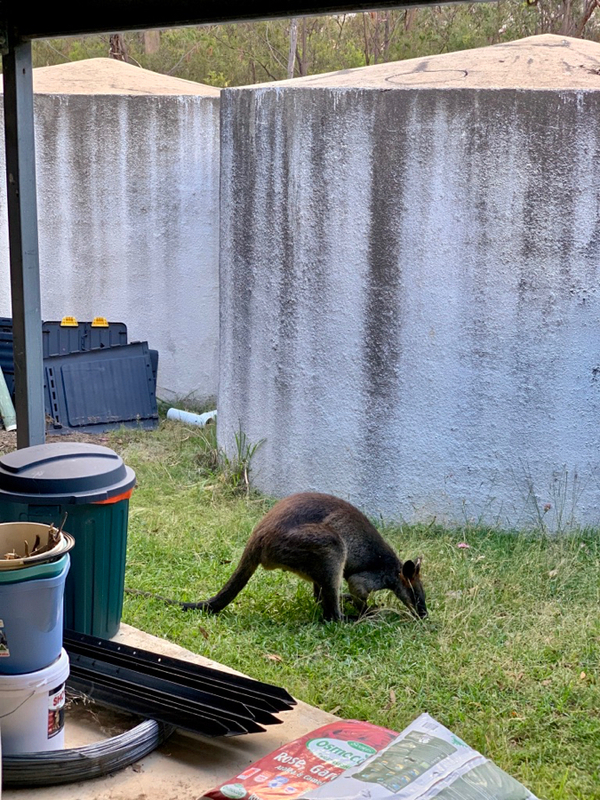 The old swamp wallaby who lives around the property went to the back of the house to sample the green grass next to the water tanks. Fearless as always.